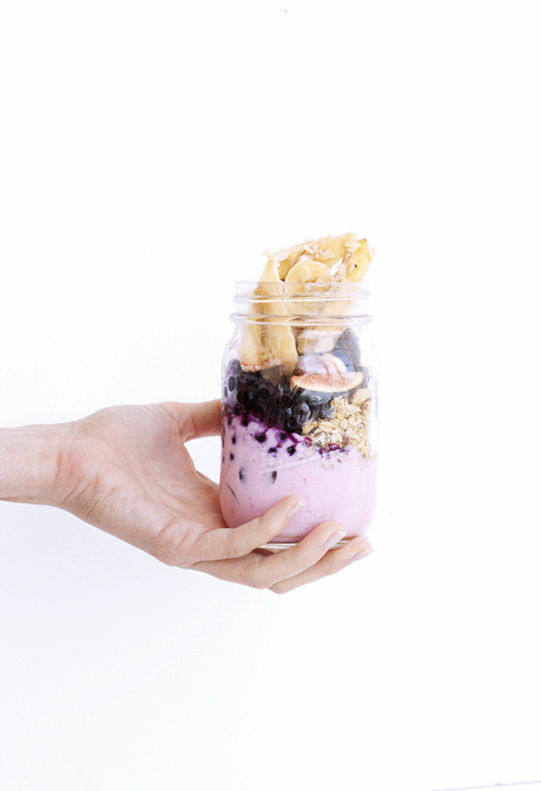 i personally believe that breakfast is the best meal of the day and these pretty parfaits we made in the office are the perfect breakfast treat or afternoon pick me up. 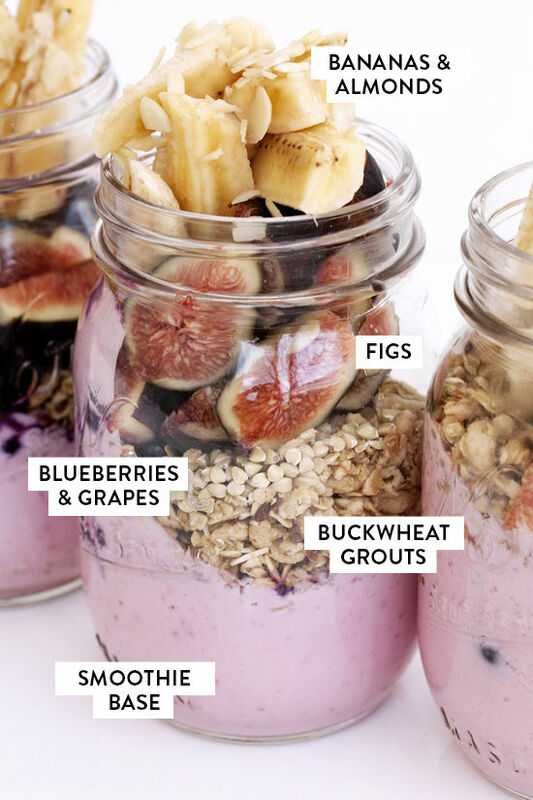 we created one fruit smoothie base and set out several fruit and granola options to mix on top. and it was a hit. we also froze a few and they were great the next day. 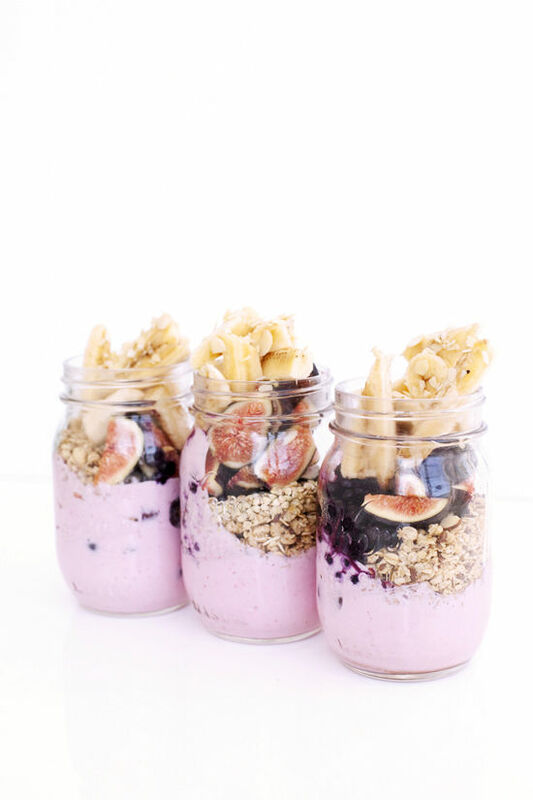 • place all of the remaining ingredients in bowls and allow people to mix as they please in their jars! we liked combining the frozen blueberries first into the smoothie base so that they melted and added an extra sweetness. the figs were also a big hit. if you’ve never used buckwheat grouts, make sure to buy them raw and soak them over night. they’re good for you and they have a nice texture, so give them a go! Love this…I’m a huge yogurt fan! 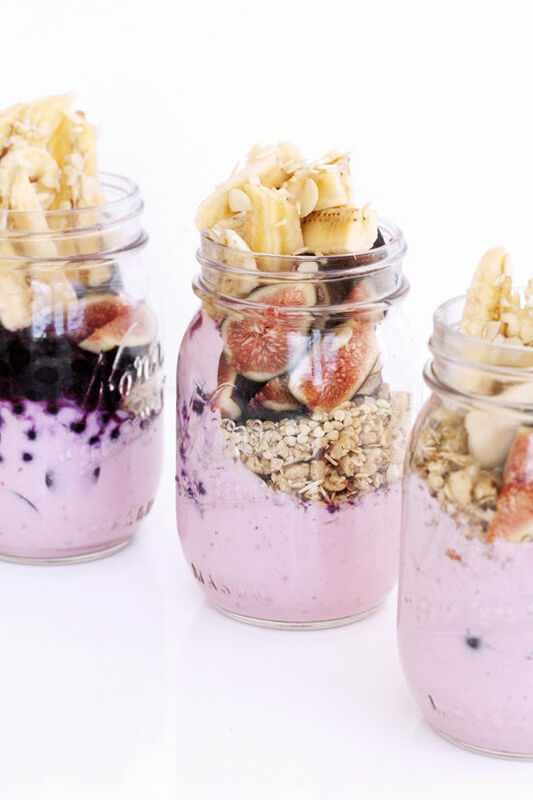 these are the prettiest parfaits. Heck yes! This sounds delicious! They look great! It doesn’t say how much yogurt to add. Is that an over site or should we just wing it? I love this kind of posts, need to try this one out very soon! Looks yummy! What a great idea. And what a beautiful presentation! I love this! Such a creative idea! 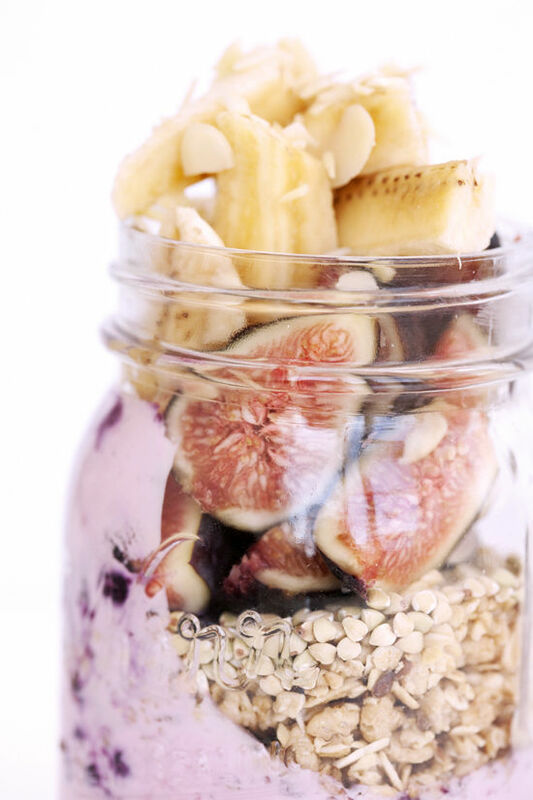 I love food in jars. Seriously love them. This looks amazing!! I love making breakfast, and this is just the cutest breakfast around! Omg! This just looks SO good! 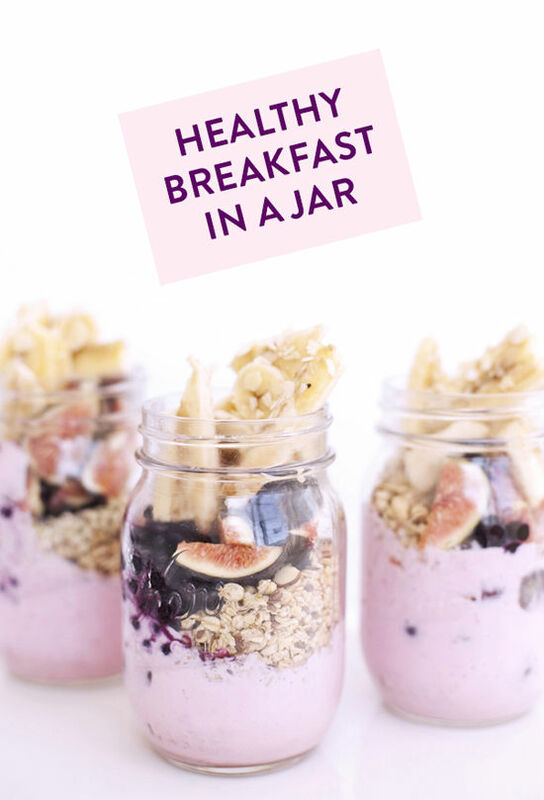 Need to try it for breakfast tomorrow! Est-il ƿօѕѕіblе Ԁе pіquеr сеrtаіneѕ ρarаǥгаpɦеѕ ѕսг mοn ƅlоǥ регsо ? Such a smart and creative idea! Beautiful colors as well! My kids is going to love this.